The data I found seems to show no difference between Sildenafil and Sildenafil citrate. But if they are the same things, why Pfizer use Sildenafil citrate instead of Sildenafil as their product Viagra? Many drugs (not just sildenafil) are manufactured as salts or simple derivatives of the active molecule. For example, the anti-inflammatory steroid fluticasone is usually delivered as the propionate or furoate esters and the recreational drug cocaine is usually delivered as the hydrochloride salt. In all this cases the active ingredient is exactly the same in the body. But there are two factors that matter as well as the active ingredient. One is how easy it is to obtain a convenient form that is pure and easy to make. Amines, for example, are much less prone to produce nice crystals than their salts (sildenafil and cocaine are amines). Since the industry needs to have a good route to a verifiably pure compound and since crystallisation is a good way to obtain pure compounds, they often experiment with different salts to find one that gives a satisfactory end result. This is convenient for the manufacturer and makes no difference to the active ingredient which is determined by the pH of the biological environment. The second reason is the ease of delivery of the drug. The physical form and chemistry of the substance or salt do matter for the bioavailability. If the drug is taken as a pill, it has to be well absorbed in the digestive system (which means it should, usually, dissolve quickly in the stomach). Salts are more likely to be rapidly soluble than simple amines (though this depends on the form as much as the fact they are a salt though the form is more controllable if you have nice crystals to start with in manufacturing). The illegal drug cocaine is an interesting case. It is easy to maufacture it as a salt and it is commonly available as the hydrochloride. The hydrochloride dissolves in nasal linings giving a high. But some prefer a faster, more intense (and also, unfortunately, more addictive) high obtained by using the vaporised freebased amine. This is easy to make by reacting the hydrochloride with household baking powder. But it can't be sniffed in that form (as a powder), it has to be heated and vaporised for effective absorption. The vapour is absorbed more rapidly directly into mucous membranes, making a faster hit. But this isn't as convenient as sniffing a finely ground powder and would not be a convenient way to distribute legal pharmaceuticals (imagine the police attention if you had to heat a spoon full of fluticasone to relieve your blocked nose). So, in short, convenience of manufacture and delivery frequently lead to the ideal form of a drug being a salt and not the pure active ingredient. Sildenafil Citrate is one and the same thing (at least in pharmaceutical marketing) as Sildenafil 1-[4-ethoxy-3-(6,7-dihydro-1-methyl-7-oxo-3-propyl-1H-pyrazolo[4,3-d]pyrimidin-5-yl)-phenylsulfonyl]-4-methylpiperazine citrate. In pharmaceutical products there are several considerations that influence salt selection. Many synthetic substances to be used in solid dosage form are too limited in solubility to be therapeutically effective. Salts are most frequently employed for altering aqueous solubility; however, selected salt forms also influence a range of other properties such as melting point, chemical stability, hygroscopicity, solution pH, dissolution rate, crystal form and mechanical properties. Different salt forms may have different stability characteristics. Generally speaking, different salt forms of the same drug rarely differ pharmacologically, unless the dose is sufficiently high such as to render the counterion toxic or pharmacologically active. Rather, the onset and intensity of the drug plasma concentration is that which may be considerably different between different salt forms, as well as between a salt and its free acid or free base. If the improvement in bioavailability of the drug is significant, certain pharmacological responses may be elicited as a result. Salt stability can be related to factors such as melting point, solubility, hygroscopicity, and microenvironmental pH. Pharmaceutical salts frequently exist as hydrates, which create difficulties during formulation development, particularly in wet granulation. It often becomes difficult to monitor and control the anhydrate/hydrate form during the wet mixing, fluid bed drying and aqueous film coating processes. This factor has led to the deselection of a particular salt form in further development process many times. A number of pivotal issues with respect to salt selection for basic drugs take into consideration the molecular and bulk properties of the material and the impact of the material as a salt form to the pharmacokinetics of the molecule. If a salt has the tendency to form many polymorphs, then, unless production of the desired form can be easily controlled, it should be rejected in favour of one that exhibits less polymorphic behaviour. The decision of whether to develop a salt form or a free form of a drug must also include the cost and feasibility of making the desired form. The feasibility and ease of crystallization of a salt form could be an important factor in the salt selection decision. Since the crystallization process serves the important purpose of purifying a drug substance, a salt form with a higher degree of crystallinity will be preferred from the chemical processing perspective. Ahuja, S., & Scypinski, S. (Eds.). (2001). Handbook of Modern Pharmaceutical Analysis (Vol. 3). San Diego: Academic Press. Adeyeye, Moji Christianah; Brittain Harry, G. (2008). Preformulation in Solid Dosage Form Development (Vol. 178). New York, NY 10017: Informa Healthcare USA, Inc.
Bharate, S. S., & Vishwakarma, R. A. (2013). Impact of preformulation on drug development. Expert Opinion on Drug Delivery, 10(9), 1239-1257. Mark, G. (2009). Pharmaceutical Preformulation and Formulation (Vol. 199). New York, NY 10017: Informa Healthcare USA, Inc.
Not the answer you're looking for? 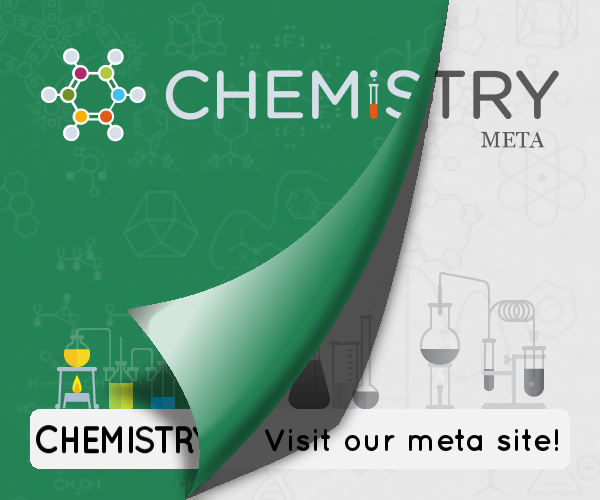 Browse other questions tagged organic-chemistry acid-base drugs or ask your own question. Between ethene and propene which is more acidic and why? Which sodium citrate is used in silver nanoparticles production? What is the difference between hydroxyl, hydroxide and hydroxy? What is the difference between SBA-15 and MCM-41? What is the difference between chiral molecule and chiral carbon? How to tell the difference between octane-1-ol and oct-1-ene?